Inspired by my friend Veek, I now carry a titanium spork in my purse. Now, when I'm eating out and plastic flatware is the only option, I don't have to use it. Don't judge, it doubles as a tiny rake and/or an emergency backscratcher. Today, for some reason, I sat here wondering if sterling silver sporks exist. They do! In fact, Mark posted about one back in 2010 that was cast from a plastic Taco Bell spork. Brilliant, but it doesn't seem to be for sale. However, I did find one for sale on Etsy. Jewelry designer Matthew White of Brooklyn makes solid silver sporks for $120 each. 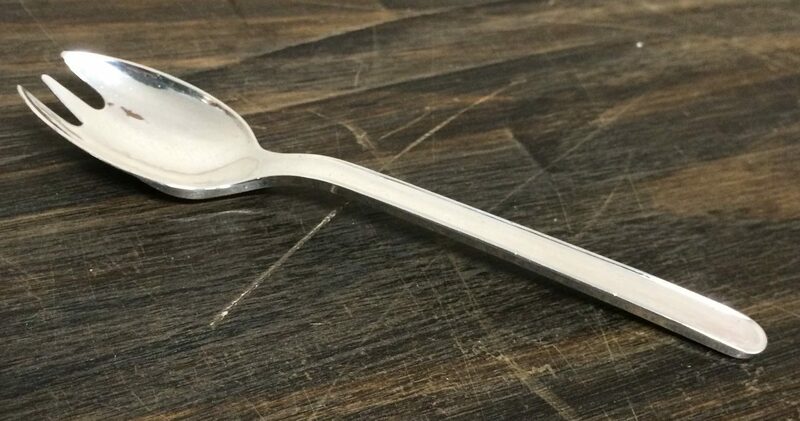 This is a solid sterling silver spork. This spork is cast from a plastic spork so it had the feel and look of plastic silverware with the strength, longevity, class of silver. The dichotomy of wealth within this piece we be a wonderful addition and conversation starter at any dinner party. It's getting fancy up in here. 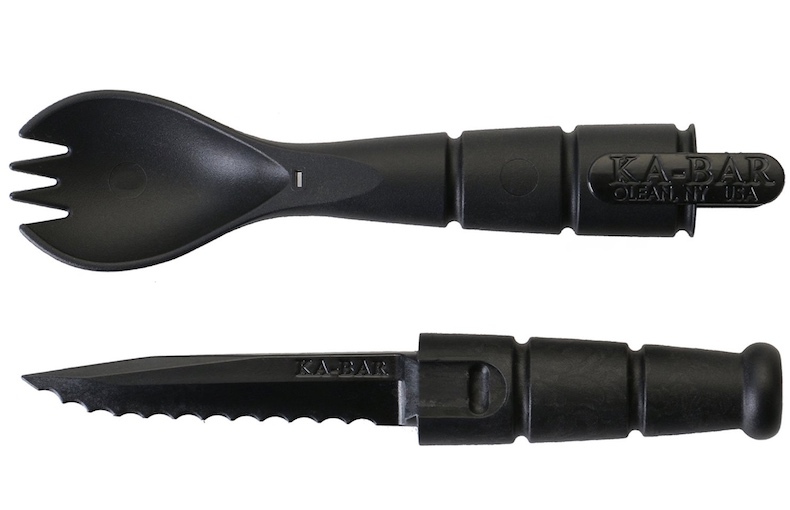 Ka-Bar's Tactical Spork is ideal for the most extreme KFC eaters. This emergency multi-tool has made its way into my camping pack. 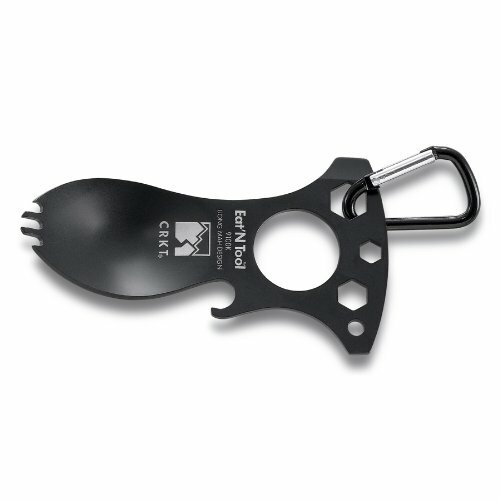 For less than $3 delivered, what looks like a Spork has been modified to act as a wrench, for several metric nut sizes, screwdriver, and bottle opener. You can, and I have, also use the screwdriver for prying stuff, and the larger central finger hole can accept a rod for leverage. The nut sizes are 10mm, 8mm and 6mm. For fans of BMW Airheads, this comes in handy!